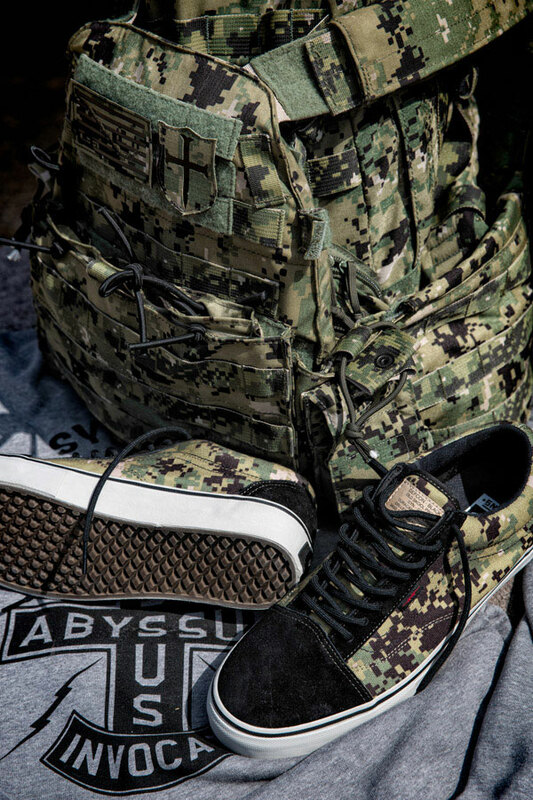 Black Sheep “Cyber Monday” Vans Syndicate Defcon Pack re-release in-store and online. 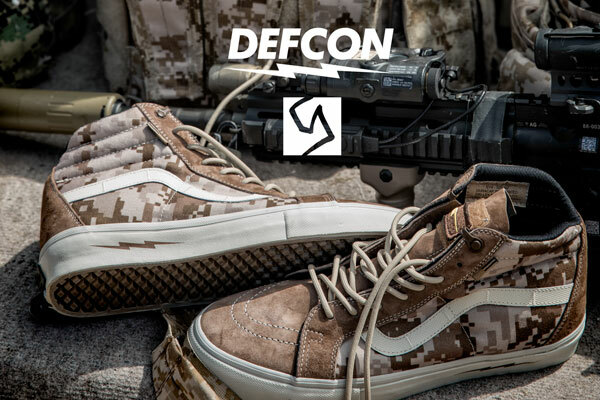 In celebration of the Holiday shopping kickoff, Black Sheep is releasing a rare restock of a mega-popular DEFCON x Vans Syndicate “Digital Camo” Pack with Vans Sk8-Hi and Old Skool design inspired by Navel Special Forces Warfare AOR1 and AOR2 camo. 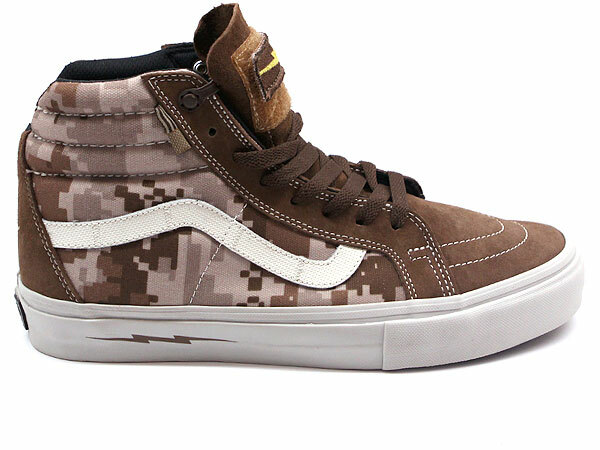 Vans Syndicate Defcon Notchback Sk8-Hi Pro “S” (Brown) — The DEFCON x Vans Syndicate model non-classified/non-ITAR, visually similar versions of the Naval Special Warfare camo. 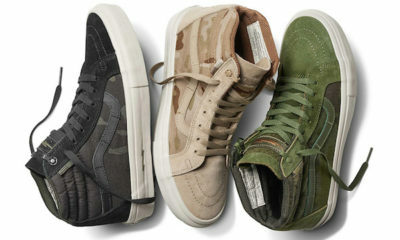 Sk8-Hi Notchback “S” features fire-proof Warrior Suede® (waterproof, oil and chemical resistant suede), ballistic nylon infused with AOR1 digital camo pattern, DRi-LEX™ lining throughout (moisture wicking and anti-microbial), military detailing from DEFCON identity to BDU specs, durable textured foxing tape and reinforced reverse waffle tread pattern. 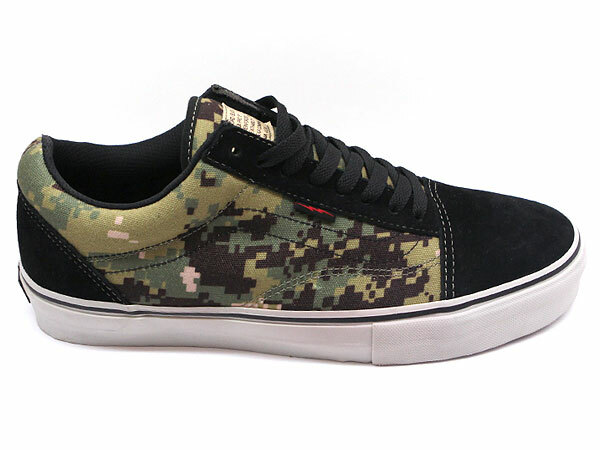 Gusseted tongue with intricate detail and removeable velcro lighting bolt patch, and Vans Syndicate x Defcon detailing. 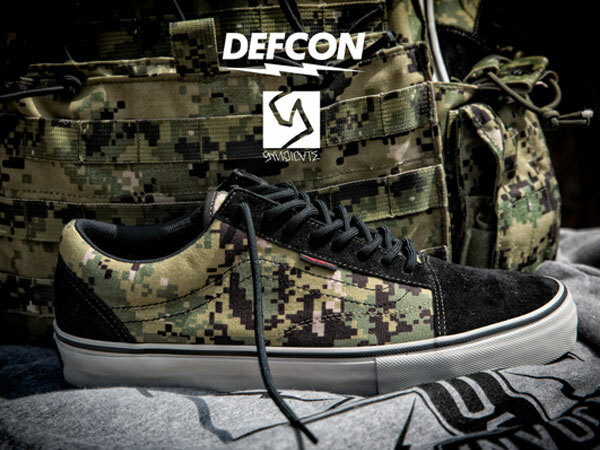 Vans Syndicate Defcon Old Skool Pro “S” (Olive/Black) — The DEFCON x Vans Syndicate model non-classified/non-ITAR, visually similar versions of the Naval Special Warfare camo. 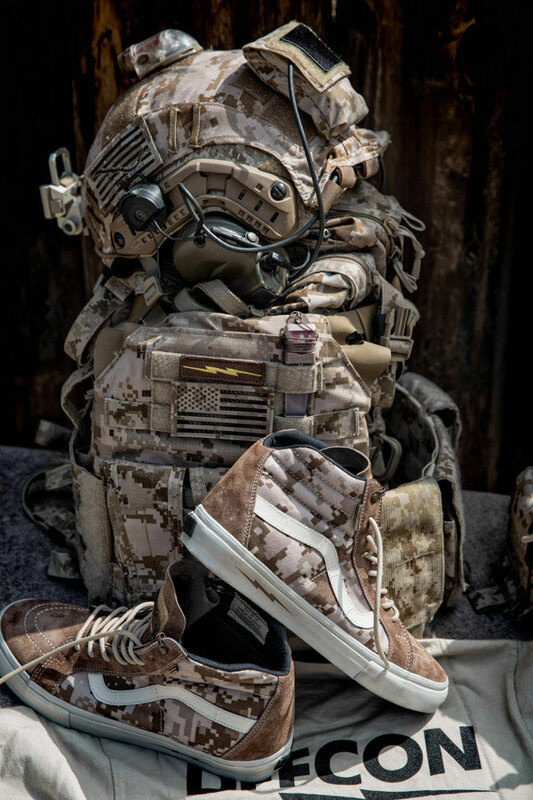 Old Skool Pro “S” features fire-proof Warrior Suede® (waterproof, oil and chemical resistant suede), ballistic nylon infused with AOR2 digital camo pattern, DRi-LEX™ lining throughout (moisture wicking and anti-microbial), military detailing from DEFCON identity to BDU specs, and reinforced reverse waffle tread pattern. 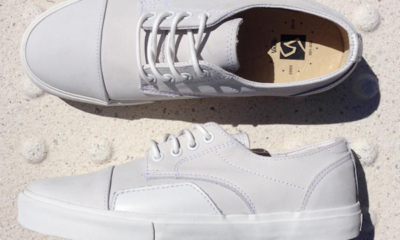 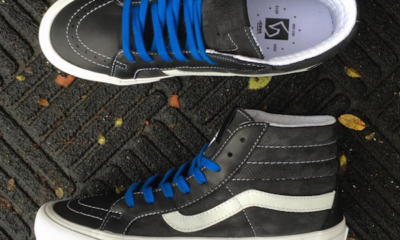 Vans Syndicate x Defcon custom tongue label and flag label side-panel lighting bolt detailing. 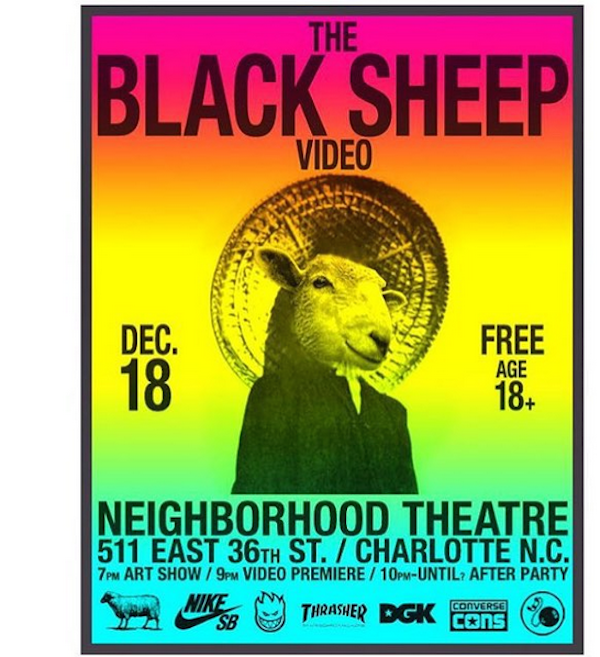 The Black Sheep video will premiere this Friday December 18 at the Neighborhood Theatre, 511 East 36th St., Charlotte, NC. After Party 10:00 pm – Until? DVDs will also be available for purchase at the premiere Friday night and then at Black Sheep Skate Shop beginning Saturday.